The exhibit at Meeker Homestead Museum is still under construction. https://www.delgazette.com/wp-content/uploads/sites/40/2018/04/web1_DSC_0094.jpgArt teacher John Scott and several of his students present the model village on Thursday. 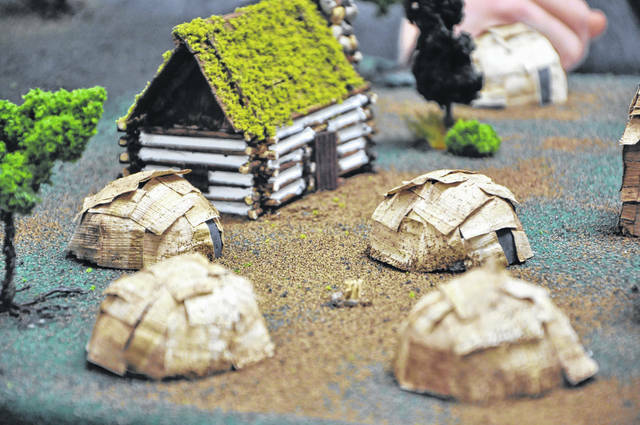 https://www.delgazette.com/wp-content/uploads/sites/40/2018/04/web1_DSC_0089.jpgPictured is a log cabin and several wigwams that are part of the village created by students.